All dogs need daily exercise. Physical activity is important to your dog’s health and happiness. Without it, your dog can become bored or frustrated and that can lead to destructive behavior. They can also become overweight or obese which can cause health issues for your dog. It is not enough just to stick your dog in the backyard for a few hours and say you’re done. So what is the best way to exercise your dog? And how much is enough? Let’s take a look. Regular daily exercise for your dog will mean you have a fit, healthy, and happy dog. It also helps to reinforce your bond with your dog which is good for your training sessions. It is a good way for your pup to work off all of those training treats and has the added benefit of being good for your own fitness and health. Obesity is a major concern for dogs that don’t get enough exercise. Carrying extra weight can lead to extra stress on your dog’s body and can lead to a number of health issues, including heart disease, diabetes, respiratory disease, and stress on joints and muscles. Destructive behavior is often a result of dogs not getting enough exercise. Without adequate exercise, they will have excess energy to burn and if your dog doesn’t have an outlet for it, you may end up with a pup who will dig up your yard, bark non-stop, and destroy your stuff. Hyperactivity is another side effect when dogs don’t get enough exercise. This can lead to bad behavior like jumping up, rough play and biting. Boredom is something dogs can suffer from without adequate exercise. Your dog could simply get bored from a lack of mental stimulation. This can make them unhappy and even depressed, or it can lead to destructive behavior. Neurosis. Lack of exercise can also lead to neurotic behavior like tail chasing and excessive licking and scratching. This puts your dog in a state of distress and can lead to stress and further health issues. Depending on your dog’s age, breed, size, and health they may need anywhere between 30 minutes and 2 hours of physical activity each day. Generally smaller dogs will need less and larger dogs will need more. There will always be exceptions to this, however, and some small dog breeds, like pugs, are prone to obesity and may need more exercise. Active breeds, like herding and hunting dogs, will need more vigorous activity and may need more than just a quick walk around the block. 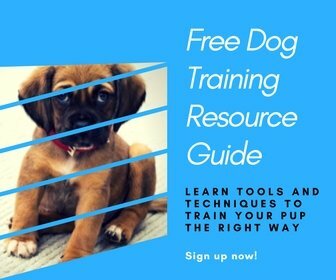 You will have to learn your own dog’s needs and provide the right amount of exercise for them. The goal is for your dog to be happily tired at the end of the day. When exercising your pup you should start out slow and observe how they respond. Look for signs that they may not be getting enough, like restlessness, pacing or jumping. Or signs that you may be giving them too much, like exhaustion or sleeping more than normal. Make adjustments to the length of walks or add an additional walk each day if need be. You will get to know your dog’s exercise needs with time. If you are unsure of anything to do with exercise and your dog’s health you should talk to a veterinarian. Your local neighborhood is a great place to start. Walk the streets around your home where it is safe to do so. Local parks. Look out for nearby parks that you can walk to. Dog parks. A designated dog park or off-leash area is a great place to exercise your dog. These are great areas particularly if your yard is not big enough. They can roam free and socialize with other dogs at the same time. Only do this if your dog is well trained and can play well with others. Beach. If you are lucky enough to live near the beach you will often find some sections of the beach that are designated as dog-friendly. At the beach you can combine walking, running, swimming and games like catch and fetch. When the weather permits, it is always good to get outside with your dog. There are plenty of things you can do together. Try to give your dog some variety by doing different exercises and experiment with some new games. Here are a few things you can try. Walking. This is the easiest way for you to exercise your dog. If you or other family members absolutely don’t have the time to walk your dog you can always hire a dog walker to do it for you. When walking (or running) with your dog it is important to give them some freedom. Let them lead you for a while. Let then stop to sniff around and socialize with other dogs and people. Swimming. If your dog loves the water then swimming can be a great exercise for them. It is best to start your dog early with swimming. If possible introduce your puppy at an early age to help them with water confidence. If your dog is new to swimming then you should start them in shallow water on a long leash until they are comfortable and capable. You could use a dog life jacket to help keep them afloat. Make sure they are supervised at all times when in and around water. Obstacle course. Set up an obstacle course in your backyard if you have some space. Use things you have around the house like boxes, chairs, and broomsticks. Have things your dog can jump over, under and crawl through. You will have to guide them through the first few times and may have to encourage them with some treats. As they get more familiar with it, you can change it around to keep it challenging for them. Hiking or bushwalking. Dogs love to explore and taking them to new environments is a great way to keep things fun for them. If you enjoy hiking or bushwalking you can take your dog with you so you can both enjoy the outdoors. Fetch. This is a great game to play if you want to give your dog a great workout. You can use a frisbee, a ball, or a stick and you can throw it as far as you want your dog to run. Catch. This is another good game that can exercise your dog more than you. You just have to stand there and throw the ball up for your dog to catch. Flyball. Flyball is a sport for dogs where teams of dogs race against each over a line of hurdles to a box that releases a tennis ball the dog has to catch. This is a good competitive sport for dogs and their owners. Find your local flyball club and start training. Agility training or herding classes. Look for some classes in your local area to try out your pup with some agility courses or herding training. Competitive tracking. Another competitive sport for dogs is tracking. This is training your dog to follow a scent trail. Play with other dogs. If you know other people with dogs you can organize a playdate so they can run around and socialize with each other. If not, you can try taking them to a dog park or sign them up for a doggy day-care. When it is too hot or too cold to take your dog outside you need some indoor activities that will keep them active and mentally stimulated. Fetch. Games like fetch and catch can be modified for indoor use. You can use softer balls and toys and just don’t throw them as far. It will still get your dog up and moving. Obstacle course. You can use household items to make a small obstacle course inside as well. Hunting. Another good indoor exercise is a hunting or tracking game. You can hide treats around the house for your dog to find. Treadmill. If you absolutely cannot get outside to exercise your dog due to bad weather you can give them a bit of time on a treadmill or treadwheel. These should never be used as the only exercise for your dog due to the lack of mental stimulation involved. But they are good for physical therapy or as an additional exercise for overweight dogs. Don’t forget that mental stimulation is as important as physical activity. Playing interactive games with your dog and giving them a variety of different exercises will keep them healthy and happy. Check out our recommendations for the best interactive dog toys here. The right amount of exercise for your dog can often come down to its breed. Certain breeds of dogs were originally bred for a particular type of work. If this work is strenuous, like hunting or herding dogs, then they will need more exercise than some other breeds. Take a look at the lists below to see whether your dog may need more or less exercise. Keep in mind that this is just a general guideline to help you get started. As we said earlier, there are many factors to take into consideration when it comes to the amount of exercise your dog needs. Your dog is an individual, you should make sure their exercise is tailored to them. P.S. Help a friend with exercising their dog by pinning this! The Benefits of Owning a Dog – Is It Good For You?